Do your children watch the news? I've been questioning how we can present news to our children that is unbiased and age appropriate. How do we engage our children in political processes, discuss international news, share the details of major events? How do we raise our children so that they are critical thinkers with high levels of media literacy? As future leaders, our children need us to keep them informed and help them navigate their way through uncertain political landscapes and ever-increasing global awareness. The Week Junior - this is my personal favourite, it is in a fantastic format for children. The Week Junior is "a brilliant current affairs magazine for children aged between 8 and 14. It’s filled with fascinating stories and information, written to engage curious young minds and encourage them to explore and understand the world around them. By exploring real world matters, The Week Junior equips young people with the skills to think critically, learn about the world around them and ask questions." First News - "a weekly newspaper aimed at 7 to 14-year-olds that aims to get kids talking about the news in an easy to understand and non-threatening way. We cover issues which are relevant to children and which specifically affect them. Inside you’ll find a mix of world news and UK news, but also loads of fun stuff, such as entertainment, games, animals, sport and puzzles." News for Kids: Real News Told Simply - "News for Kids was created by a teacher to make the news accessible to kids. We carefully choose high interest stories appropriate to the audience, and present them in a way that is easy to understand". Caspar finds the content interesting, this is the site he uses the most. DOGOnews - "the leading online network empowering kids to engage with digital media in a fun, safe and social environment." Teaching Kids News: Readable, Teachable News - "Every story is in kid-friendly language and appropriate for kids in grades 2 to 8. Beyond just making the vocabulary accessible, we provide context for everything in each news story, so kids can understand what’s going on, and why." The Day: News to Open Minds - A daily news services for schools, colleges and homes. This is a subscription service (not a free website) mainly for schools. I like the format though and wish to was more accessible to parents. News-O-Matic - A daily newspaper for ages 6-14. Every story is written at multiple literacy levels for ages 6 to 14. A child psychologist reviews each article to ensure emotionally safe and age-appropriate content. In Australia, we like BTN. If you are in the US you might find some of these sources useful Young and Informed: Credible News Sources for Kids. Do your children subscribe to any magazines? Otis (7 years) loves National Geographic Kids and has a subscription to Eco Kids Planet. Caspar (11 years) also has a subscription to AQUILA magazine. These are more educational than news or current affairs but really help towards keeping them informed and engaged. The Prepared Montessori Environment at Home: 4 to 8 Months (including lots of photographs) at Creciendo con Montessori (English here). This infant space at Sylvie D'Esclaibes's Blog, this is a notice for Montessori training near Lille in France, but I am posting to admire how lovely this area is. On Facilitating Interests at The Montessori Cosmos, this article is particularly relevant for children in the second plane of development and the example used here is of a seven-year-old. The Science of Wool at Montessori Handwork. I love this scientific approach to understanding this fibre, before starting handwork. Otis and I have been searching for fun recipes, we are going to try and make these Cinnamon Roll Snails from scratch, idea from Pillsbury Kitchens. This is so joyful and a real pick-me-up. I am currently reading and loving, Joyful: The Surprising Power of Ordinary Things to Create Extraordinary Happiness. "A body of research is emerging that demonstrates a clear link between our surroundings and our mental health. For example, studies show that people with sunny workspaces sleep better and laugh more than their peers in dimly lit offices, and that flowers improve not only people's moods but their memory as well." What if my child avoids an area completely or only plays with one thing?? at The Montessori Notebook. We recently stumbled across The Kid Should See This. It is a website full of wonderful and educational videos on a variety of topics including science, nature, technology and space. A Montessori Approach to Halloween?? Is it possible to take a Montessori approach to Halloween? I've received many questions over the years about Montessori and Christmas. Christmas is a religious and/or cultural event. Many families celebrate Christmas in a non-religious way because it is a tradition they would like to continue with. I see Halloween as a cultural event too. I believe Montessori would respect all religious and cultural events that are relevant to each family. Celebrations and traditions can play a very important role in a child's life. While in Australia we celebrated Halloween in a very minimal way, here in the UK it appears more widely celebrated and so we will join in with the festivities. My children have already had one Halloween party and will go to another next week, some of the houses in our street are also decorated for Halloween. We will allow our children to join in the customs that are relevant here. We don't need to tell untruths or make-believe, it is possible to participate in a way that is respectful to the child. We can share with children the story of Halloween, how it is celebrated in different cultures. It is possible to participate in a reality-based way. Learn the meaning and history of Halloween. At his previous (Montessori) school Caspar researched Halloween and will now retell its origins and how it's meaning has changed over time. This is great for a child who likes history or customs but it is good to know the 'why' behind Halloween. Stay true to your family's values. It is easy to get led astray with sweets or cheap decorations or excess, keep in mind we can participate in these events while staying true to our own family's values. This is also a good time to educate your children on your family values, you can explain why you do or don't participate in Halloween. It's a great time to discuss how we treat others with respect - especially when trick or treating - how do we approach those who aren't participating. Think practical life - I've never felt the need to swap up our toys or materials for those with a Halloween theme but Halloween presents many practical life opportunities. Think making your own costumes and decorations, or the child researching, paying for or ordering their own costume. Think carving pumpkins and roasting pumpkin seeds. This year my children have loved making Halloween themed treats. Teach and respect autonomy. This is a big one, it's so important. We need to respect our child's wishes - do they want to participate in events such as trick or treating, do they want to wear a costume or face paint, what do they want to wear? Dressing an infant in a costume? I will leave that up to you but it's not something we would do. Have fun. Sometimes we need to relax and have fun. While I don't like Halloween costumes, I have found a way to let go for one (or two) nights (for the older/second plane children) and allow the children to join in and have fun. This is true especially for Halloween, we don't place a lot of value it but allowing our children to participate, to go trick or treating with the neighborhood children to attend parties with their friends is important to us. Decide as a family. But don't force. It is a really good discussion to have and allow everyone to have their say, this will give you a really good feel for how much and how the children want to participate, perhaps they will have some new ideas! Otis really wanted to decorate his room (with pumpkins and other gourds) which we were on board with. Celebrate Fall/Autumn/Harvest instead/in addition. It's easy to substitute many 'activities' and decorations to an autumn or harvest theme. Simple Preparations for Hallows' Eve at Whole Family Rhythms. Halloween: Grace, Courtesy and Safety at I Heart Montessori. As always I'd love to hear your thoughts, do you celebrate Halloween? Children are born scientists, always curious about out how things work. In nature, the child will absorb knowledge as they interact with their environment, unconsciously observing, watching light reflect on water, a rock roll down a hill, a leaf float gently to the ground, a campfire smoldering. There are many ways we as parents (and teachers) can provide real, hands-on science activities so that children can explore how the world works, to provide a safe space for children to experiment and make new discoveries. Physics may not sound like a topic for young children but simple activities like building an electric circuit can lay the foundation more complex work on energy, heat, light, sound, magnetism, design and, technology. When my children were young, around 4-5 years we introduced snap circuits and from there, their interest in circuit building has grown. Above and below Otis (7 years) is making his own circuits. Caspar (10 years) uses littleBits. Children can learn the basics, how to build the circuit - then armed and equipped with knowledge and skills, they can make their own designs and experiments. We teach the correct language and also in this case the written form, ensuring the child uses the correct symbols. We want to nurture the young scientist - not only giving them knowledge and skills, we want to allow them space and time to fail, we want to relate science to the real world and genuinely engage the child - all easy to do with electric circuits! Sensory water play for babies - it really couldn't get any easier. Many babies will enjoy just a bowl or basin of water, or perhaps a paddle pool to splash around in! Our weather has really warmed up in the last couple of days so I've been looking for ways to extend our outdoor play, we are aiming for three hours a day outside. So I've introduced some water play. In most cases, we've used a large bowl of water and some tools but we could easily do these in the bath or at the kitchen sink. Here are a few things that have worked really well for us at 13 months. Sponges. A little larger than our cleaning up sponges, these are fun just to squeeze and watch the water drip out. Natural or cleaning sponges or even the large car wash sponges can be fun. Table Tennis balls. We've used these a lot in the bath at a younger age. The child can chase the balls around the bath, it can take some coordination to catch them. We've just introduced the scoop in which the child can use to scoop up the balls. We've used coloured balls which can later be used for colour work or language work. Whisks. We have a few different types of whisks to play around with. We put a few drops of dishwashing liquid in the water and whisk away. This is very easy to do in the kitchen sink too. For older children I've also used food colouring so they can mix the coloured water around. Containers with holes. Containers with holes are fun to use with water play. It's interesting to watch the child observing. An empty yoghurt container or something similar with holes in the bottom can work. We've also used a cheese shaker which has holes in the top. Measuring cups and ladles. Otto hasn't worked out how to use a ladle but he will spend a lot of time playing with the measuring cups, pouring and filling the cups up again. Pitchers. Pouring with pitchers and little jugs. Hand wash clothes. This is getting into practical life territory but I love to give Otto a little handwashing to do. Here we have a couple of woollen tops for him to handwash in a bowl with a few drop of wool wash. It just requires a little squishing and swirling around, working alongside an adult helps the child to know what to do! Watering Can. A small watering can is a lot of fun for water play or for watering the garden. We love to use our transparent watering can but others with different spouts are good for exploring the properties of water. Pipettes and large basters. At 13 months this was proving too difficult but we will keep the pipettes and large basters nearby for lots of transferring and squirting play. Empty bottles. Little squirt bottles and later spray bottles are excellent for water play. Hand pumps. This is something to keep in mind, I would suggest from around 18 months+. If you have the Lovevery The Thinker (11-12 months) set it contains weighted balls. This is a set of two balls, one which is heavy and one that is light, they are wonderful to use in water! The light one with float and the heavy one will sink to the bottom, almost an early sink/float activity. Although these aren't Montessori activities, I would keep a few things in mind. I don't want to confuse the child about the purpose of the tools. I don't use the child's (or our family's) water pitcher or weaning cups for water play, I use different cups and pitchers. While I am ok with using ladles and whisks for water play in a bowl or at the kitchen sink, I wouldn't put them in the bath. I love this quote because as parents we know that size matters, we want our children to be independent and capable around the home but our homes are made for adults! We have adult size furniture, adult size counters and, cupboards, taps and, toilets. We can do a lot to change this, we design and order child-size furniture, we have stools so they can reach counters. We can also use extenders so that children can reach taps and light switches. Until now, there hasn't been a light switch extender for Australian families. How can this be? It's taken two sisters from Canberra to see this need and now take this product to market. (Their other sister is a presenter on Playschool!!). The light extender is called the toggler. So cute! But first about the light switch extender - the toggler. Easy to install and uninstall - attaches to the light panel with adhesive pads, which are easy to remove. Glows in the dark - has a glow in the dark locater making it easy to find at night. Lowers the switch access by 23cms - recommended for children around two years+. Modern Design - looks good! Designed for Australian's most common light switch - the horizontal and vertical rocker switch, also works on horizontally stacked rocker switches, and multiple togglers can be used on the same switch plate (the website has further information and diagram). Available in packs of two - perhaps one for the child's room and one for the bathroom. What's the big deal about a light extender? There is no reason a child shouldn't be able to use the light switch independently, most Montessori families do it but use a cumbersome step stool. For toilet visits in the middle of the night or just the ability to turn the light on and off when they want, it's one less thing they (the child) has to ask the adult for, one more thing they can have control over. It also sends a powerful message, it tells the child that we value them and their autonomy, where and when we can we will accommodate their needs. How great are they for teaching children to conserve energy too! We would love one of these in every room! They are also a great idea for Grandparents, Aunties, Uncles, babysitters, home daycare. If you have relatives in Australia, please share this with them. If you operate a Montessori playgroup, daycare or school in Australia, please consider sharing this with your families. Pre-orders are required to get the toggler into production. The toggler can be pre-ordered here (delivery expected in December 2018). If you are in the US, our American friends use and recommend the KidSwitch. We have five sets of togglers to giveaway!!! Each set has two togglers (light switch extenders). The giveaway is limited to those with an Australian address. To enter please leave a comment in the comments section of this blog post sharing two tips on fostering independence in the home with a toddler! Five families will be chosen and each will receive one set of togglers to be delivered in December 2018. Comments will close on Sunday 21 October 2018 at 9pm British Summer Time. Please, only one comment per family. You can also follow Little Products on Instagram here. We almost have a toddler in the house so it's time for us to start thinking about ways we can support his movement and his independence. I've been here before with my two older children but this house is different and this child is different! So I've been making a list of household tools that would be useful to support Otto's independence but also a few things that could assist Otis (7 yrs) too. These are a few things that we want, need or feel would be useful. Light Switch Extender - for the child's bedroom and bathroom. At night especially when toilet learning, you want the child to be able to reach the light without tripping or having to move around step stools. A great invention, I would suggest from around two years. Changeable Picture Frame - love this idea! I've just ordered this so let me know if you want to see it in action. It would be lovely for a younger child to use to be able swap around their art-work independently, picture frames are so hard to use and this is good for bulky collages too. Faucet Extender - for reaching water for washing hands or brushing teeth, depending on the basin this can often be useful for older children too. Faucet Handle Extender - who knew this existed? For turning the tap on and off. Temporary Soap Holder - fantastic idea if your child likes to use the shower and can't reach the soap. Suction Mirror - for brushing hair or teeth at their level. Easy Open Containers - for hair ties, play dough, craft supplies, snacks, pet treats. With a toddler it may be best to buy these in store and see which types/brands they find easiest to open. Temporary Wall Hooks - for almost anything - dustpan and broom, apron, towels. Coat and Bag Rack - installed at the child height for raincoats, umbrellas, backpacks, bags. Children's Night Light Clock - I am a new convert to this, living in a country where you can't depend on the sun to wake you, or to tell the time I now consider this essential! Ring Towel Holder - think art area, handwashing area, bathroom, kitchen. Small Containers - easy-to-use pump or squeeze bottles. Think soap at all basins, shampoo/conditioner, pet wash, dishwashing liquid, sunscreen, lotion/moisturizer, bubble bath. Step Stool - useful in all areas of the home. Wardrobe Extenders - these are so good for renters and we've used them in our last two homes. Toilet Steps - possibly more stable than a step stool. Small basket with handles - for carrying and transporting things around the home and garden. There are obviously a lot of other tools and furniture that will help specifically in the kitchen and garden, but I feel like these cover the every day living. Let me know if I've missed one of your must-haves. Let's Talk About School Camp! How old were your children when they went on their first school camp? Caspar and Otis were seven before they stayed overnight at school camp. For both of them, it was their first night away from home. Their class had a camp when they were six but neither of them wanted to go and at this age, I wasn't going to push them. Independence inside or outside of the home cannot be forced, rushed or pushed. It can only come when the child is ready. Otis' first camp was only one night (Caspar's was two). Otis stayed in a tent on the school grounds (pictured above). I love this approach, the children don't have to travel, it's only one night, and the children are already familiar with their surroundings. The children felt safe and secure and had a fantastic time. When children reach the second plane of development (6-12 years) they look for more social interactions outside of the home environment. In school, they may be planning 'going out' activities which requires the children, often a small group, to plan an outing that they will execute by themselves usually with an adult supervising. When it comes to independence outside of the home, there is only so much we as parents can do. We can teach them how to plan, we can prepare them, we can give them skills and knowledge, then we must let them go. We can make the most of this experience by following the child! It is important that parents don't interfere, take over or lessen the experience. School camp is such a wonderful opportunity for exploring this new-found-independence outside of the home but within the safe confines of the school/class structure. Source items required - like sleeping bags, blankets, equipment. Make lists or organize themselves in their own way. Pack their belongings so they are easily accessible but can be carried independently. Look after all of their belongings. Greater autonomy, children will have greater control over themselves, what to eat, what to wear, more so than at home. Additional learning for example learning about camping activities such as putting up a tent, making a camp fire. Greater independence for care of self activities such as showering, brushing teeth, assisting with food preparation and clean up - outside of the familiar home environment. Following the instruction/guidance outside of the home and regular school environment, for example following the direction of camp leaders, other parents. Developing and using problem-solving skills, a new environment means the children will encounter new or different problems. Working closely with others/classmates, learning/developing/furthering social skills and forming bonds. Promotes teamwork, problem-solving with others and conflict resolution. This year Caspar's (10yrs) school camp is in France. This requires a whole new level of 'letting go'. It also requires a whole new level of independence. Caspar could not be more excited and most importantly he is ready. It's hard to believe the six-year-old who didn't want to go to camp is now ready to spend a week at camp, in a different country. My message is don't rush it, children will explore this independence in their own time! I'm a fan of RMTL so today I thought I would share our week... in objects. Clear cosmetic containers on the nature table - we love our window blocks (similar here) but MontiMinis recently shared an easy and affordable alternative! They use clear cosmetic containers, the containers have a lid so if you want little ones to handle it you could secure it with clear tape. It's a great way of protecting, sorting and displaying small or fragile items and still allow young children to handle them. They would also look lovely on the light table! Apple and acorn puzzles. Simple and beautiful. A beaker on a window sill and growing Pilea plants. Cloth pull-ups - for early toilet learning and standing nappy changes. These are much more absorbent than most Montessori type training pants. So they are a transition away from a nappy but are more supportive than a traditional training pant. It's a win-win in the very early stages of toilet learning! Adorable Animal and Transport Pasta - a recent farm shop find. Eco Kids Planet - a new subscription for Otis (7 yrs). I'm sure I was an adult before I realised how yoghurt was made! Last week Caspar's (Year 6) class made science experiments using yeast, changing the environment and noting the differences in growth. We've made a lot of bread together so he had a basic understanding of yeast. But what about bacteria, would he be able to grow bacteria and what are it's optimal growing conditions? We've made yoghurt before at home using a starter packet, not realising that a little fresh yoghurt (with live bacteria/active cultures) is all you need. We've also made it in one pot and using a thermos style container. This time we've used a temperature controlled environment which gives us much more control but also the ability to experiment a little, or a lot. Putting the science aspect aside, it's so important that children learn where their food comes from, what is in their food and how they can make it themselves. It gives the child choice! Some yoghurts have a lot of sugar and additives, making your own yoghurt you know exactly what is in it. It also helps to teach children about how to reduce their waste, making your own yoghurt significantly reduces disposable packaging. This is a perfect activity for children in the second plane. Making yoghurt at home also teaches children problem solving skills. Now and then we have a failure or more often than not, one pot doesn't set. We need to work out why it didn't set, what went wrong, do we need to test our equipment, was the starter yoghurt fresh, was the equipment clean, was the milk at the right temperature? It's almost like an experiment every time we make it! It also teaches children that life is less than perfect, food bought from the store is most often perfect, no imperfections. Food made at home is often less than perfect, perhaps the yoghurt is a little lumpy or needs straining, it's totally normal and ok! It's like growing your own vegetables, a completely different experience to buying from the store. We also learn how to make our ideal tasing yoghurt and what conditions are good/better/best. There are a lot of different ways to make yoghurt, we are not experts, but this method works for us. As a family of five, we like setting the yoghurt in smaller pots, we only half fill them so there is plenty of room for fruit or granola. They are a good size for breakfast or snack. We use a temperature controlled yoghurt maker (here UK and similar here US), so we can change the temperature and timer settings. Now that we almost have a toddler in the house I am reminded about the importance of our actions and how distracting our words can often be! I've heard it over and over again but it's time for a refresh. "Show, don't tell!". "Do not tell them how to do it. Show them how to do it and do not say a word. If you tell them they will watch your lips move. If you show them, they will want to do it themselves." - Maria Montessori. What is the issue with using words to describe what we are doing, while we are doing it? When we are showing the child something, perhaps a lesson, presentation or something so simple as brushing their teeth, we want 100% of their attention to be on the materials and most often on our hands. We want the child to watch and absorb what we are doing, how we are holding the materials, how we are moving them. If we add language or verbal descriptions, the focus often becomes on the words, the child will often stop looking at our hands, perhaps breaking their concentration to focus on our mouth. The tip is to use the fewest number of words possible during a lesson or presentation and allow the focus to be on the materials. The Montessori Toddler has two tips that I've found useful! SHOW - Show Hands Omit Words - "...a useful reminder to adults to use slow hands and omit words when we are showing our children something new. This helps the child pick things up more easily." Use One Word - "Sometimes we use too many words to give instructions to our children. "We are going to the park. We'll need to get our shoes. Our shoes protect our feet. It's good to put them on. Where are your shoes? Did you put them on yet?" And on and on it goes. Try using just one word. "Shoes". Again the child needs to work out themselves what they need to do, giving them control over the situation." It's not just about using less or fewer words our body language is important too. "Remember most communication is non-verbal. Body language 55%, Words 7% and Tone 36%." - Cardiff Montessori, Positive Language and Behaviour Management, A Montessori Approach. Our body language can communicate our approval or dissatisfaction with the child or their actions and so much more. 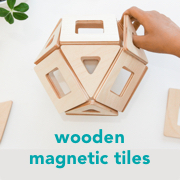 "Communicating the Montessori way involves more than words and tone. It also involves attitude, body language and actions responsive to the children and their needs." 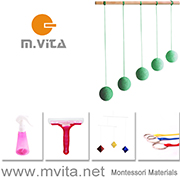 - Montessori Training, Communicating with Young Children the Montessori Way. "So it is often easier to show a toddler, than explain; often easier to work alongside, than give instructions from afar; and more fun to explore the world together!" - The Montessori Notebook. Sometimes we forget how much effort and concentration goes into simple tasks like putting on shoes, especially if it is a newly acquired skill. It's best that we show them, then get out of their way!